A new info has surfaced for the Hatsune Miku x HONDA x Dwango collaboration. Announced suddenly out of nowhere, the collaboration, “Let’s Drive with Miku!“, features a custom Honda S660 with commentary support from Hatsune Miku, where she can comment on mileage, fuel levels, oil changes reminders, and such via the voice-interaction smart phone app “osoba”. The custom automobile prototype will be on display at the TOKYO AUTO SALON 2019 event held at Makuhari Messe on January 11th~13th, 2019. Presentation of the prototype will be held with talents from many fields, from original illustrations and car-wrapping artwork by Kentaro Yabuki, author of “To Love Ru”, cosplay by Enako, music by Dixie Flatline, to a music video by MakinoSena. The Yokohama Doll Museum will be holding a dedicated Hatsune Miku figure exhibition featuring a total of 200 figures by big-name figure manufacturers and various Japanese companies, namely, Good Smile Company, Max Factory, FREEing, Furyu, Sega, Taito, Volks, Groove, and Warner Music Japan. Additionally, Volks will have its own section for the Dollfie Dream Hatsune miku. The Hatsune Miku Figure exhibition will be held from December 8th, 2018 to January 31st, 2019. Main visual by the illustrator “naoto“. KarenT has announced the Snow Miku 2019 official album, titled “Snow White Record feat. Hatsune Miku“! 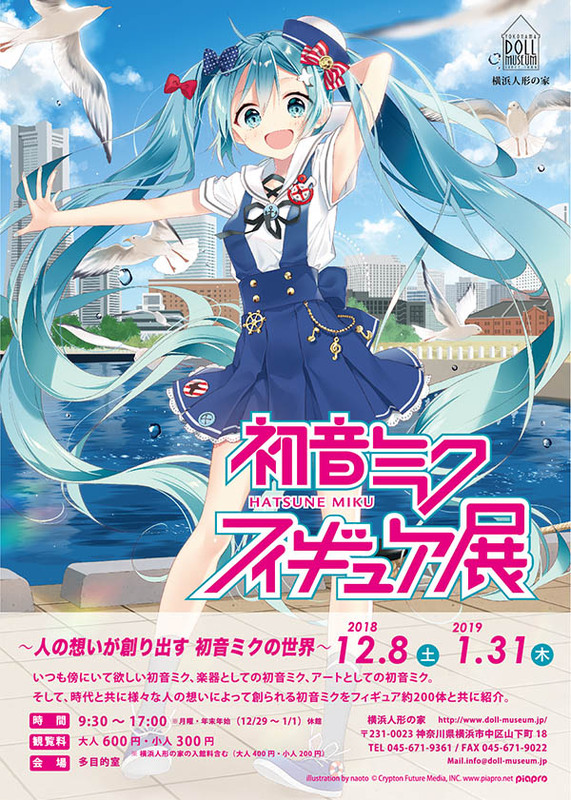 The album features a wide selection of Snow Miku theme songs including the latest Snow Miku 2019 theme song “AI” by none other than DECO*27. The second disc, the “Snow White Disc”, contains newly written songs for the album based on the theme of “snow and winter”. The album is priced at 2,800 yen, and will release on January 23rd, 2019. Karent label presents this limited edition album, containing the SNOW MIKU 2019 event theme song ‘AI’. 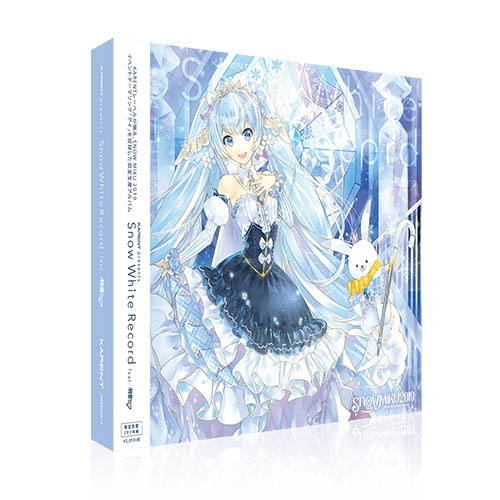 A double album consisting of “SNOW MIKU 10th Anniversary Disc” which includes all the past Snow Miku theme songs, as well as the “Snow White Disc” which contains the newly written songs for the album, based on the theme of “snow and winter”.